Think Pink as we shift our focus to self love, rituals of healing the relationship to Self and strengthening the love around you! Known as the ‘Love Stone’ rose quartz opens the heart chakra and inspires every type of love. Whether you are seeking romantic love or practicing self love, the soft vibration of rose quartz enhances love in any situation. By attuning to morganite, you can tune into the frequency of divine love. With forgiveness and compassion you can release and heal old wounds, sorrows, heart aches and traumas. Morganite activates the heart chakra and allows for healing and cleansing to occur. 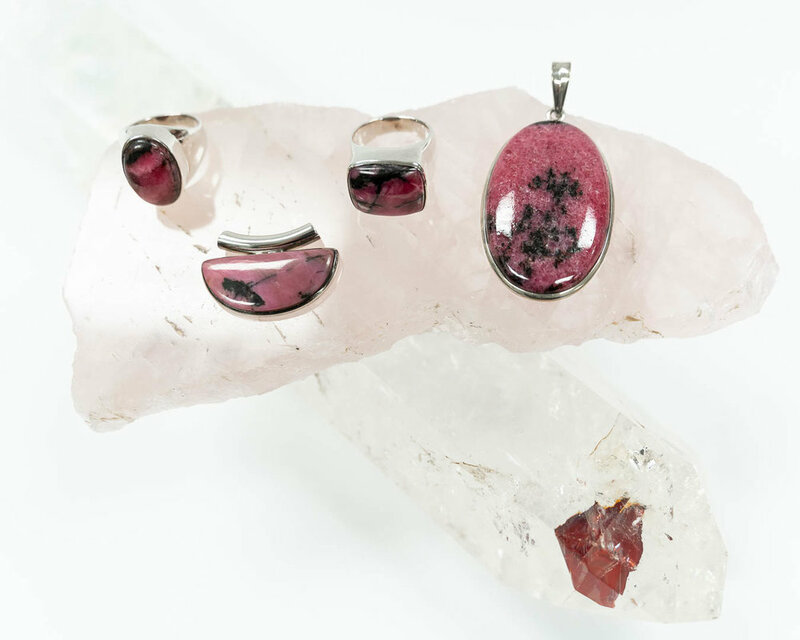 Through unconditional love and caring learn to love and care for yourself with pink calcite. It is a wonderful stone for discovering your true talents and assists you in determining your life’s purpose. 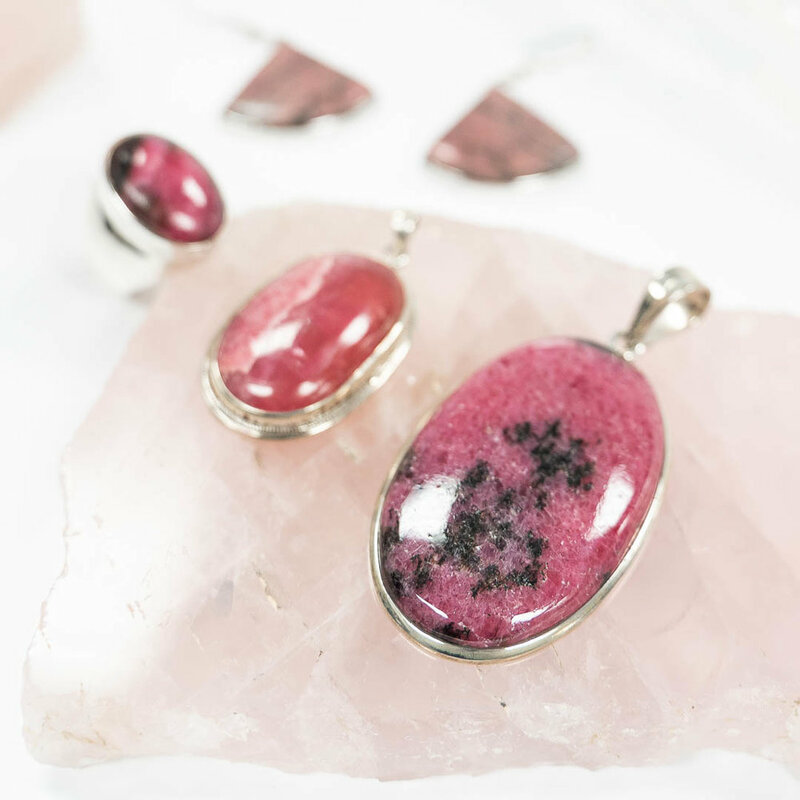 Known as the ‘Stone of Love and Balance’ rhodochrosite cleanses the heart chakra and the emotional body. By releasing energy and suffering from past lives, the emotional body can be programmed to receive joy. This stone has been called ‘The Stone of Greatest Potential’ because it energizes the heart chakra to receive unconditional love. It dispels anxiety and promotes coherence by helping the user to pay attention to details about relationships. Newer PostPassion For Pink - A Declaration of Love!